Plans have been submitted to rebuild Cameron House Hotel almost a year after the resort was devastated by a fatal fire. 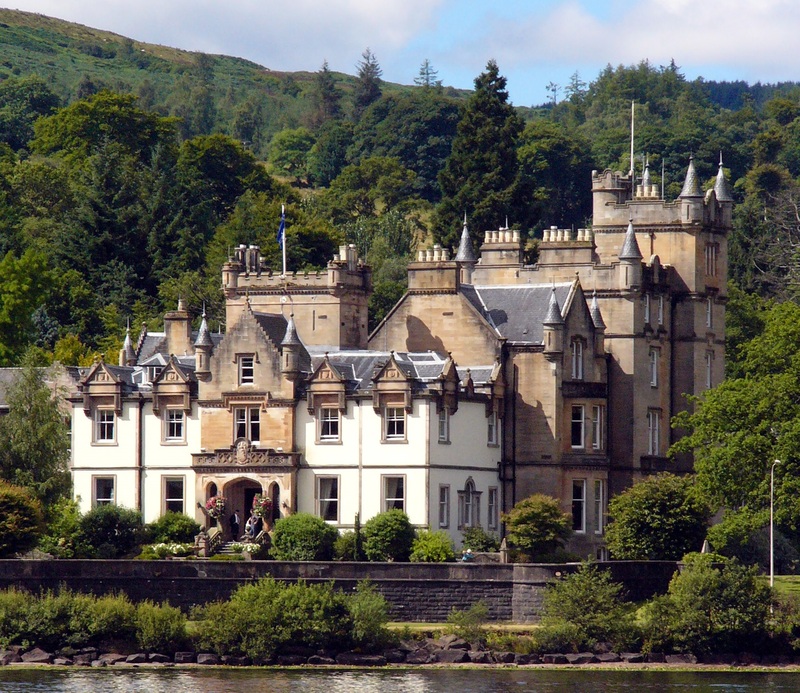 A planning statement lodged with Loch Lomond and The Trossachs National Park Authority reveals the full extent of the works required at the hotel including the retention and restoration of the façade and the construction of a new internal frame within the building. The 3DReid-designed plans also feature recladding, new dormer windows and roof terraces, and the demolition and rebuilding of walls. Cameron House Hotel was engulfed by a blaze on December 18, 2017, which claimed the lives of two guests and gutted the interior of the 18th century building. Richard Dyson and Simon Midgley from London died in the fire with over 200 people evacuated and three others injured in the incident. The hotel has been closed since last year’s fire and was only handed back to its owners in July. A supporting statement lodged with the application by Lichfields planning and heritage consultants said: “Clearance and salvage works, including the installation of a façade retention scheme are underway on site at Cameron House. “The applications for planning permission and listed building consent, which are the subject of this statement, seek permission to re-instate the historic building, which will ultimately help bring this world-class hotel back into use. “Since the fire in December 2017, the project team has worked to establish the extent of work required to reinstate Cameron House and to bring the resort back into operation. “Background studies have been completed to assess the damage to the building, from both a structural and heritage perspective, to inform the structural strategy and design proposals. “The fire resulted in a significant proportion of the listed building being exposed to the elements from ground floor level, following the collapse or removal of floors, ceilings and the roof structure above. A series of dismantling/down-taking works have therefore been required for safety reasons. The park authority has already given the hotel permission to install a temporary lodge visitor reception area and extend the southern access road, as well as to demolish its central tower structure and chimney stack. A decision is also expected this month on the taking down of the roof structure.